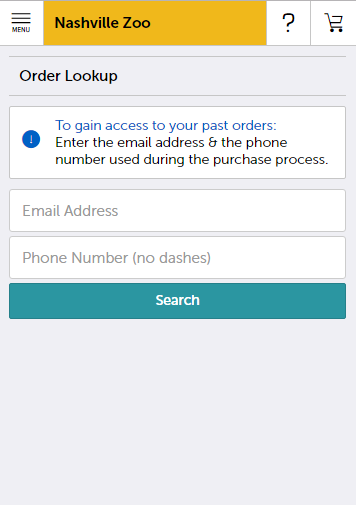 Use the following steps to look-up an order you've placed via our online store. 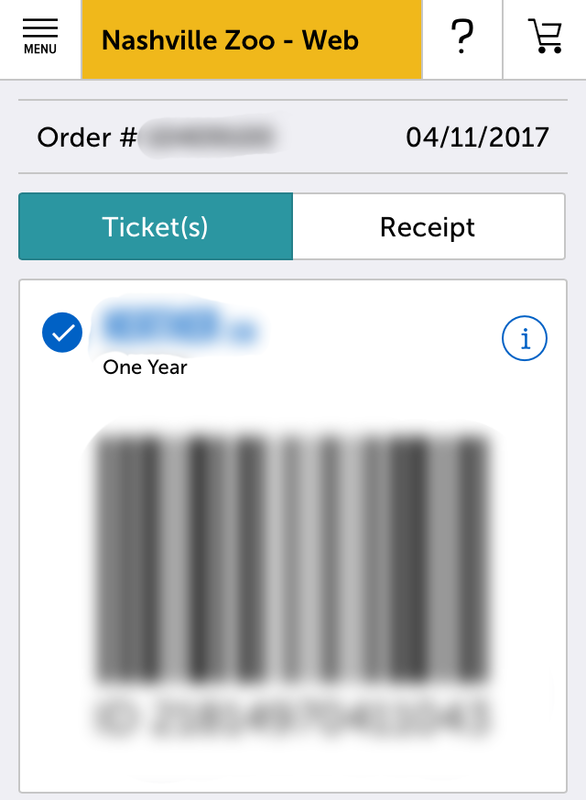 You can use this tool to re-print your receipt or tickets. Open our Order Look-up Portal in a new window. 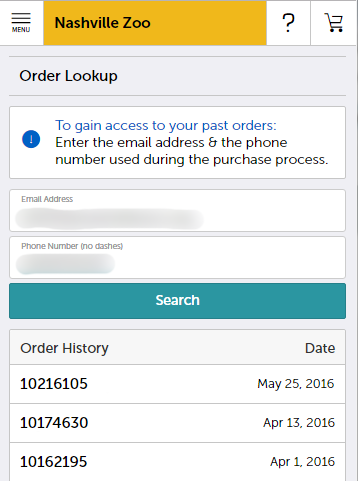 Enter the email address and phone number associated with your order. Your orders will appear. Select the order you're looking for from the list. 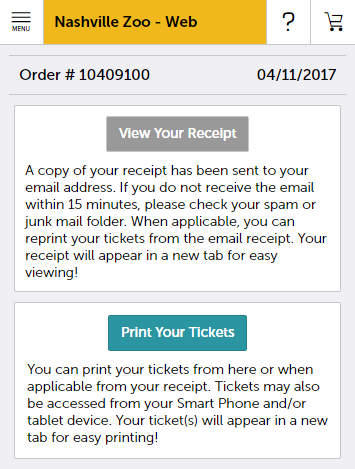 Select "View Your Receipt" or "Print Your Tickets." Another web browser window should open to display your information. Print your tickets and present them at the ticket scanning station at the Zoo. Show your barcode at the ticket scanning station at the Zoo!